The basic guide to address the royalties, especially in Joseon Dynasty, is quite simple. Take the above example, jusang jeonha (주상 전하). The term is used to address the current king. Jusang (주상) is the title used for the current king or sovereign, with the style ‘His Majesty’ or jeonha (전하). The people above the king, for instance the abdicated kings and the queens dowager, simply address the king using the title (jusang) while the people serving the king address him using the whole term (jusang jeonha), or simply the style (jeonha). It’s like the English term His Majesty The King, with ‘The King’ as the style and ‘His Majesty’ as the title. Great Predecessor King /seondaewang (선대왕, 先大王) or Great King /daewang (대왕, 大王), was used to address of to refer to a deceased king. The former was used independently or with the style ‘His Royal Highness’ or mama (마마, 媽媽), referring to the king who ruled before the current king. The latter is often heard in dramas, where the characters will refer to the deceased king with the title ‘daewang‘ attached to the late king’s temple or posthumous name, such as ‘Taejo Daewang‘ or ‘Sejo Daewang‘. The wife or consort of the deceased king would be given the title Queen Dowager /daebi (대비, 大妃). Most of the time, the Queen Dowager would also be the mother of the current king. The style ‘Her Royal Highness’ or mama (마마, 媽媽) was used along with the title. In several cases throughout the Joseon Dynasty, the Queen Dowager took the role of the acting monarch in the name of the king when the king was too young to rule. One example was the Queen Dowager Insoo, who ruled together with Grand Royal Queen Dowager Jeonghee in the name of King Seonjong. Royal Queen Dowager /wangdaebi (왕대비, 王大妃) was the title for a former consort that is more senior than the queen dowager, for instance the current king’s aunt, or grandmother. The style used was ‘Her Royal Highness’ or mama (마마, 媽媽). Grand Royal Queen Dowager /daewangdaebi (대왕대비, 大王大妃) was the title for a former consort that was senior to two other queen dowagers, or the current king’s great-aunt or great-grandmother. The style was ‘Her Royal Highness’ or mama (마마, 媽媽). King Former /sangwang (상왕, 上王) was a living king who voluntarily abdicated for the current king to reign. The style ‘His Majesty’ or jeonha (전하, 殿下) was commonly used. He usually remained powerful through the remaining years of his life even with the presence of the current king, for instance King Taejong who abdicated for his son, King Sejong. Grand King Former /taesangwang (태상왕, 太上王) was the abdicated king who was more senior than another former king. The style used is ‘His Majesty’ or jeonha (전하, 殿下). For the King’s father who never reigned as a king himself, he was addressed with the title Grand Internal Prince /daewongun (대원군, 大院君) or Prince Regent. This happened when he’s a distant relative of the royal family and his son, carrying the Yi family name, had been adopted as heir of a relative who did reign. He used the style of ‘His Royal Highness’ or mama (마마, 媽媽). In the case of Heungseon Daewongun or Yi Ha-eung, father of Emperor Gojong, the Grand Internal Prince acted as the regent in the place of his son who was too young to rule. Grand Internal Princess Consort /budaebuin (부대부인, 府大夫人) was the title for the consort of the Grand Internal Prince with the style of ‘Her Royal Highness’ or mama (마마, 媽媽). Internal Prince /buwongun (부원군, 府院君) was the title for the queen consort’s father, using the style ‘His Excellency’ or daegam (대감, 大監) while Internal Princess Consort /bubuin (부부인, 府夫人) was the title for the queen consort’s mother. The current regent at that time was the King /wang (왕, 王) with the style of ‘His Majesty’ or jeonha (전하, 殿下). His subjects and the people around him would commonly address him with the title of jusang (주상, 主上) or another one that is not quite common but still used, geumsang (금상, 今上). The king would refer to himself in front of his subjects as kwa-in (과인, 寡人) which was derived from the term used by the Emperor of China, which was guaren that meant “the person without enough morality”. Other terms used to refer to the king were imgeum (임금), naratnim (나랏님), and sanggam (상감). Queen Consort /wangbi (왕비, 王妃) was the consort of the king that used the style ‘Her Majesty’ or mama (마마, 媽媽). People around her would address her with the title jungjeon (중전, 中殿), which literally means ‘Center Palace‘. When a queen consort passed away, she would be given a posthumous name with the suffix wanghu (왕후, 王后) which gives the meaning of ‘Queen’. As for the eldest son of the king, he would be addressed with the title Prince Royal/wonja (원자, 元子) before his inauguration as the Crown Prince, with the style of ‘His Royal Highness’ or mama (마마, 媽媽). Once he’s declared the official heir of the throne, the title Royal Prince Successor /wangseja (왕세자, 王世子 ) would be used. The title was often simplified to Prince Successor/seja (세자, 世子), with the style of ‘His Royal Highness’ or jeoha 저하, 邸下) being used together with the title, except when the more senior relatives (kings, queens consort, queens dowager) addressing the crown prince as the style was often dropped. Another common and more affectionate title used to address the crown prince by the senior relatives was ‘East Palace‘ or donggung (동궁, 東宮) with the style ‘His Royal Highness’ or mama (마마, 媽媽). Royal Princess Successor Consort /wangsejabin (왕세자빈, 王世子嬪) or the Crown Princess, was the title for the consort of the royal prince successor. The title was also simplified to Princess Successor Consort /sejabin (세자빈, 世子嬪). The style used was ‘Her Royal Highness’ or mama (마마, 媽媽) and the common title used inside the palace for the crown princess was ‘Consort’s Palace‘ or bin-gung (빈궁, 嬪宮) with the same style. Royal Prince Successor Descendant /wangseson (왕세손, 王世孫), was the title for the son of the prince successor and the princess successor consort, which also made him the grandson of the king. The style used was ‘His Highness’ or hap-a (합하, 閤下). Grand Prince /daegun (대군, 大君) was the title for the other sons of the king with the queen consort using the style ‘His Excellency’ or daegam (대감, 大監). Grand Princess Consort /bubuin (부부인, 府夫人), was the title for the wife of a grand prince with the style of ‘Her Royal Highness’ or mama (마마, 媽媽). Prince /gun (군, 君) was the title used to address the sons of the king with his concubines and also the sons/grandsons/etc of a grand prince and a prince, with the style of ‘His Excellency’ or daegam (대감, 大監). The princes were actually called wangja (왕자, 王子), literally ‘son of the king’ before they reached the age for the title daegun or gun to be given to them. Princess Consort /gunbuin (군부인, 郡夫人), was used to refer to the consort of a prince using the style ‘Her Royal Highness’ or mama (마마, 媽媽). Princess /gongju (공주, 公主) was the title for the daughter of a king with his queen consort, with the style of ‘Her Young Highness’ or agissi (아기씨) when she’s still young and ‘Her Royal Highness’ or mama (마마, 媽媽) when she’s at a marriageable age. The princesses were called wangnyeo (왕녀, 王女), literally ‘daughter of the king’ before they reached the age for the title gongju or ongju to be given to them, or before marriage. Prince Consort /gunwi (군의, 君尉) was the title for the consort of a princess. The style used was buma (부마). Princess /ongju (옹주, 翁主), the title of a daughter of the king with his concubines, with the style of ‘Her Royal Highness’ or mama (마마, 媽媽). The titles and styles are somehow simple when you get used to it. I simply like it when the characters in a drama go around and calling the queens and princesses “Mama!” because I love to hear how it is pronounced. Well, now you know that when the subs suddenly write “mama” or “jeonha“, you know who they are referring to! I love these historical posts and I hope you keep them coming. It makes my sageuk watching all the more fascinating! I was wondering – in Rooftop Prince, I noticed that the three companions are always calling the Prince something that sounds like “jooha” – which sounds very similar to “jeonha”. Is this another term that could be used for a prince? I’m always so impressed by your informational/historical posts! I think all sageuk kdrama watchers should read this!!! Your articles always impressed me. Although I’ve read such things in Wiki. By the way, do you know royal titles and styles during 3 kingdoms era? I only knew several of them, but the Three Kingdoms would often use daewang as the king’s style, meaning great king, with the style pyeha, which can be translated as Your Imperial Majesty. Even the queens consort would use the same style, while the prince would be using the title taeja with the style jeonha. I also only knew afew of them. On Queen Seondeok, the titles and styles are similar to era after Joseon, Han imperial. They’re either sanggung or nain, depending on the concubines’ ranks. Those of higher ranks would be served by the sanggung who sported simple bun with a hairpin while the lower ranked concubines had nain, who wore ribbons on their hair. Hope this helps! I’m not sure if there’s any specific title for them but they can be addressed as wangbi-ui joka-ttal (왕비의 조카딸). Hi..I’m not sure if they have any other name rather than their given titles (Heebin, Sukbin, Gwiin etc) but there were concubines whose sons became the kings had their titles being referred to using their quarters’ names.. Quarters is where that person is staying inside the palace. where did the concubines live? Korean dramas picture them to each have their own quarters but, when I search up the Korean palaces, they only list the quarters of the queen and king’s mothers. That is because the residence for the concubines were not fixed. There were living quarters but it depended on the king to grant the quarters to his concubines according to their rank and/or his favour. Most of the time, the name of the quarters were changed according to the person living in it and the name was bestowed by the king. 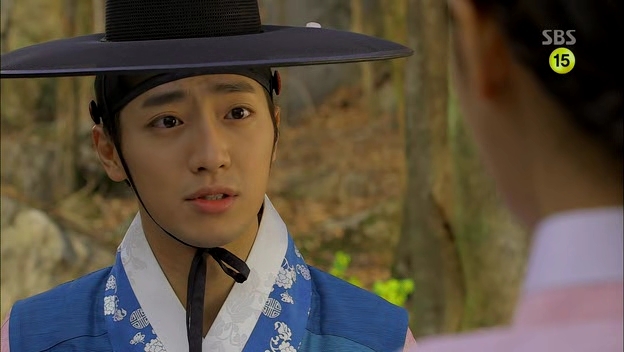 Question: in goong, why is yul called eui sang daegoon? I know daegoon means prince but where does eui sang come from and why was he the only one with a special title? That one is just one of the titles bestowed upon a royal prince. Just like in the classic setting, it is inappropriate for someone to address the royal children using their personal names, thus the title is granted by the king/emperor. 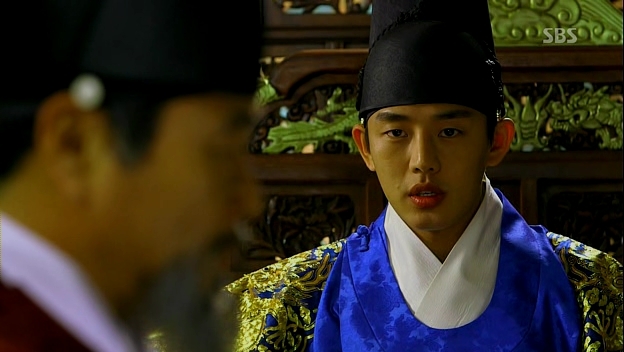 Yul gets the title while Shin is addressed as the Crown Prince, because there can only be one crown prince at a time. 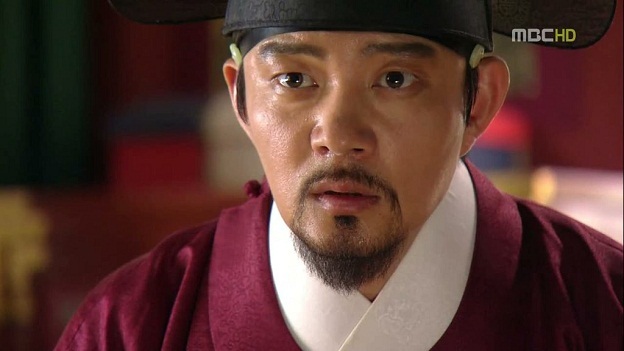 So eui-sang is a set title or the emperor just chooses it for yul? It is a title chosen by the emperor for Yul, not a fixed title for a certain member of the royal family. Did you mean gongju agissi or gongju jaga? Gongju agissi (공주 아기씨) was used to address a very young princess, while gongju jaga (공주 자가) was used to address the princess who had married. Gongju mama was a common term for both single and married princesses. I think what WL is getting at is the formal way of addressing a person – 께서. As in “선생님께서.” It’s part of the honorifics system, and isn’t really a title, but affixed to the names or titles of important/respected people. “Mama” is restricted to royalty, but “gessou” is added to the names/titles of much older people or more respected people, even one’s own parents sometimes. Hi, thank for your post. It help me for doing my research. Could you tell me the title of book that you used as reference book? and where can I find it? bin gung mama? what do you mean by that? Bin gung (빈궁) literally means the consort’s palace, and it was where the Crown Princess would reside. Ladies residing inside the royal palace were usually referred to using their living quarters’ name for instance Crown Princess and the Queen Consort, commonly referred to as Jungjeon (중전), meaning the central residence as her quarters would be situated deep at the middle of the royal palace. Fantastic post, as always, Mimi! It’s been a while since I visited your corner of the interweb. Rewatching “Dong Yi” landed me here since the array of Titles and Styles in “Dong Yi” is quite extensive. I was looking for some help in keeping track of all the promotions and demotions that take place in the Palace and this post fits the bill exactly! How can you rewatch dong yi? Do you know link to dowload it? If you are in the US, you can stream it from Dramafever.com or from Viki.com. Check if they are licensed to play in other countries as well. The only other place that I know may have a downloadable archive is through streaming sites. They even have several mirror sites and you can find them if you do a google search. The last option is t get the DVD box set — which is what I do with favorite dramas so that I can always rematch them even without the internet, and Dong Yi is a classic, worth adding to any personal library. I think you’ll find it on many of the big vendors who sell KDrama (YesAsia, kpopmart, kpopstores, handbooks, etc.